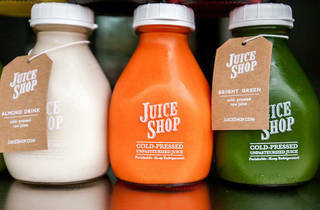 Juice Shop opened after co-owner Charlie Gulick found that a raw lifestyle was the only way to manage his rare liver condition; he soon recruited his wife and three brothers, creating a family business based on health and longevity. 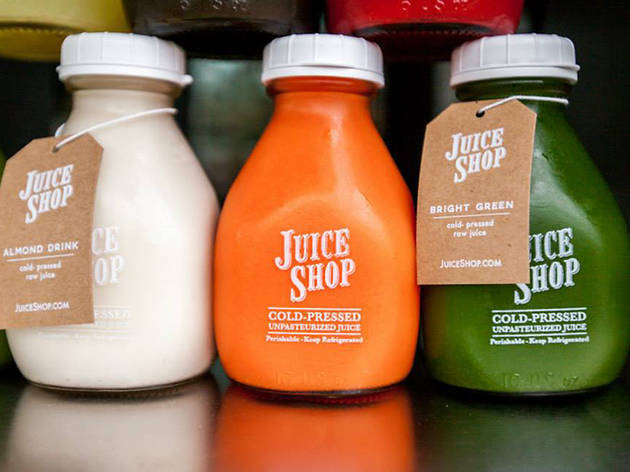 Outposts throughout the city offer raw, organic, cold pressed fluids to health nuts and dabblers alike. The classic Deep Green provides your five-a-day and then some with celery, cucumber, romaine, kale, spinach, lemon and parsley. For a thicker beverage, look no further than the 5 Seed, a mix of sunflower, hemp, chia, flax and pumpkin seeds blended with blue-green algae, strawberries, banana and raw almonds.